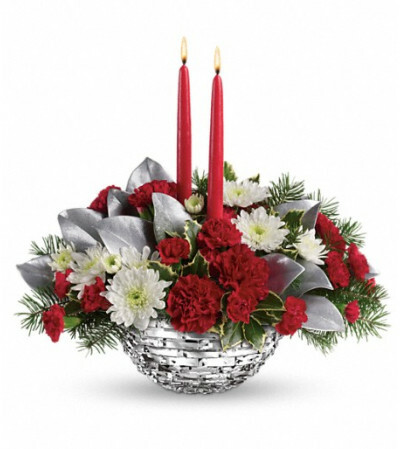 Deck the halls with red carnations presented in our beautiful sparkling hand-polished glass bowl. 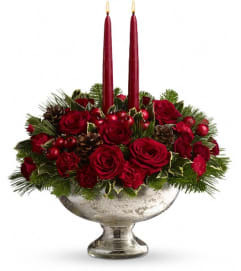 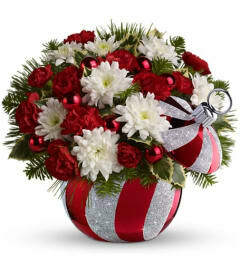 Red carnations, miniature carnations and white cushion spray chrysanthemums are accented by douglas fir, magnolia leaves and holly. Delivered in a Sparkle of Christmas glass bowl.